(L-R) Sunshine Dizon, Angelu de Leon, and Angelika dela Cruz reveal how TV ratings and audience feedback affect them as teleserye actresses. TV ratings are an important aspect of a Pinoy teleserye or any TV show for that matter. In fact, TV ratings can serve as the barometer to gauge the performance and life span of a TV show. In the Philippines, TV networks rely on the services of two TV ratings providers: AGB Nielsen and Kantar Media. ABS-CBN is subscribed to the data provided by Kantar Media, while GMA-7 relies on the data provided by AGB Nielsen. At present, social media sites have become a powerful tool in terms of gathering audience feedback. Fans can now communicate their concerns through Instagram, Facebook, and Twitter. Still, TV ratings are often used as the basis to determine if a show will be extended or cut short. This was discussed thoroughly in the first installment of PEP.ph (Philippine Entertainment Portal) special report, ANATOMY OF A PINOY TELESERYE, where business unit heads revealed how they get feedback for their shows: from ratings to social media to focused group discussions. Pinoy teleserye actors and actresses are also affected by audience feedback, especially those coming from social media or the increase/decline in viewership as reflected by TV ratings. For '90s actresses Sunshine Dizon, Angelu de Leon, and Angelika dela Cruz, their way of dealing with audience feedback has changed through the years. 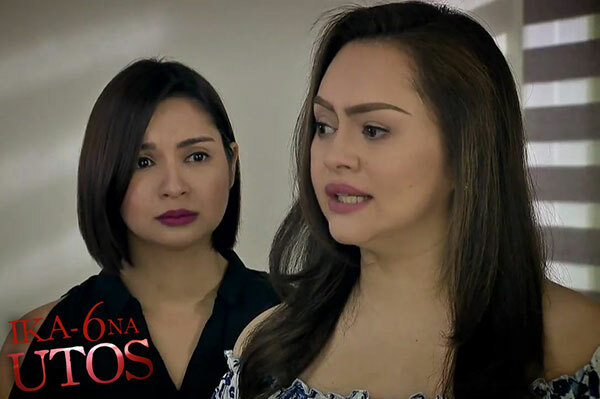 In the second part of ANATOMY OF A PINOY TELESERYE: FROM THE POINT OF VIEW OF GMA-7 ACTRESSES, Sunshine, Angelu, and Angelika open up about their experiences regarding TV ratings and audience feedback. Sunshine, Angelu, and Angelika give their observations as to how teleserye production has changed over time. They also talk about their vision for the future of Pinoy teleseryes. Through social media, Sunshine, Angelu, Angelika, and other celebrities can get direct feedback and comments from fans, viewers, and even critics of their TV shows. This was how Angelika got feedback for her performance in Ika-6 Na Utos. She says, "Noong araw, ang nagsasabi sa 'yo, management, e, kapag effective ka sa role mo. "Ngayon, yung Ika-6 Na Utos, pinapanuod ko sa YouTube. "Doon, ang comment ng mga tao kasi, siyempre, sa social media ko, puro pabor sa akin. "Yung pupunta sa social media ko na may mambabash, yun lang yung may ayaw sa 'yo. "Iba yung hindi ka sinusundan tapos, 'Uy, ang galing nito, gusto ko ito.' Yun yung binabasehan ko." In the past, these three actresses were not made aware of the ratings performances of their shows. Sunshine recalls that in the past, "Hindi nila sinasabi sa amin 'yan." Angelu echoes, "Hindi namin alam na may ganun pala." Sunshine recalls what happened to Anna Karenina, her first teleserye with GMA-7 and VIVA Television, which ran from 1996 to 2002. 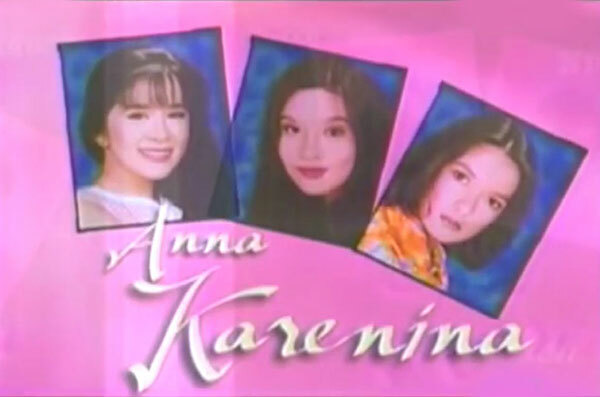 Anna Karenina is considered as the longest-running weekend drama series in the Philippines to date. Sunshine, who played Karen in the show, says, "Ako, nalaman ko lang ang rating game noong nag a-Anna Karenina kami. "Pero it's really more of... parang ang kwento kasi ng Anna Karenina was parang after every year, sinasabing tatapusin na kami, tapos biglang hindi pa, kaya umabot kami ng limang taon. "At saka, nalaman ko na lang kung ano yang rating rating na yan, parang halfway na, e, ng Anna Karenina. "Pero diyes lang yun, nuwebe lang, otso lang! Hindi siya big deal. "At saka parang hindi nila pinaparamdam sa amin yun. It's really different now." Angelu points out that in the past, the stars of a show were not really involved in other aspects of a teleserye, such as marketing and TV ratings. She explains, "Parang yung sa artista, parang your role, your knowledge about the show is your role, your script, you, and the director. "Anything outside marketing, wala na. Parang di namin yun problema dapat. "E, ngayon kailangan, kapag binebenta nila yung show, ibebenta mo rin yung show. "Even artistas ngayon, it's so hard because even if you have a manager, unlike before, the manager works for you, media and everything. Ngayon, you also have to work." It may be noticed that since the existence of social media, producers and TV networks announced their ratings game victories through artcards. Angelu points out, "Sa ratings, nakakatawa lang kasi ngayon, di ba, pati yun, ipopost mo kapag nanalo yung show mo? "Pero, nakakatawa kasi minsan, siyempre, kapag inisip mo, panalo ka ngayon, pero bukas hindi! "Tapos sila, bobombardin ka! Biglang nakakaganon na, 'Ay, sorry po.' Ganun lang yung feeling." Sunshine adds, "Unless it's a major thing talaga, major achievement, okay naman yun to post. Pero huwag naman araw araw. Angelu says, "Parang sa kanila na yon, may tao nang gagawa noon. "Kasi sabi ko, to each his own, meron namang kasing kailangan, kasi pinapapost. That's the reality of it, may ganun talaga. "I mean, we're proud. Pero ako, medyo I shy away." When they learn about the TV ratings performance of their show, does this affect their performances as actresses? Sunshine admits, "Alam mo, honestly, hindi ko masabi na hindi naapektuhan. "Kasi, the mere fact that they would send us the comments and the ratings—may ganun kapag bago yung show. "Parang, there's this thing inside you that burns na parang, 'Ano bang kulang? May mali ba akong ginawa?'" Angelu says, "It's a fuel, whether good or bad, para siyang gas. Gas siya ng artista, gas siya ng buong show, gas siya ng writers." Still, Sunshine believes that the ratings performance of a show shouldn't be part of an actor's job. She explains, "Pero ako, in a perfect world, sana hindi. "Kasi, to be honest, hindi na namin trabaho yun, e.
"Ako, that's how I view it, na we can only do so much, hindi na namin hawak ang utak ng mga audience kung kakagatin nila yung story or hindi, di ba? "Pero, as actors, our concentration should be our characters and the story. "I mean, feedback, fine with me. Pero ratings? How can we, as actors, predict that?" Angelu supports Sunshine's sentiments by saying, "Kasi nakabase lang naman kami sa script, sa sasabihin ng direktor. Yun lang yung amin." Angelika adds that when it comes to reading feedback from viewers, she also knows when she should get affected. She says, "Ako kasi, alam ko sa sarili ko kapag nagawa ko nang maayos at hindi. "'Ay, hindi ako masyadong nakapag-concentrate sa eksenang yun, kaya lang ginood na nila, nagmamadali, wala na akong magawa.' Alam mo yun, e. Alam mo yun sa sarili mo, e."
One major change in the production of a Pinoy teleserye involves its life span. 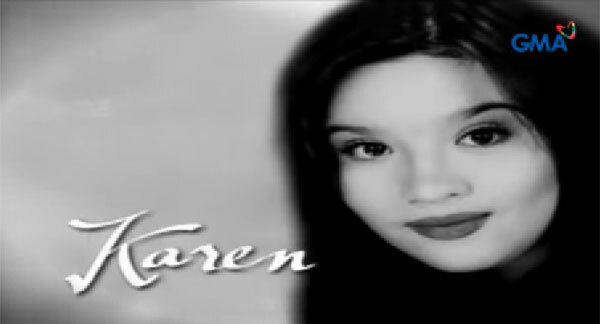 In the late '90s, a teleserye could be aired for two or more years on television before ending its run. However, in the mid-2000s, this trend changed, and TV shows usually aired for one season, or 13 weeks. TV networks could allow series extensions, especially if a show performs very well in the ratings game. Of course, this trend has an impact on the storytelling made on the show. Angelika says, "Mas mabilis ang pacing ngayon, kasi before, yung mga soap opera, mabagal. "Ang bagal ng pacing. Ngayon... mas gusto yun ng tao, e, yung mabilis." Sunshine believes that this change follows the pattern of Korean dramas, which usually completes its run after 20 episodes. She reasons out, "Kasi di ba, ang turn over ng mga Koreanovelas is mabilis, e. I think, I don't know if we're like trying, ewan ko, humahabol ba ang Pilipinas, I don't know." Angelu quips, "Hirap mag-ipon, charot!" Now, teleseryes can get cut short to less than 13 weeks if ratings won't improve over a given period of time. Long-running shows have become a trend again on television. A supposed 13-week show could get extended for a year or more, especially if it is performing well in the ratings game. This happened to Sunshine's Ika-6 Na Utos, which was supposed to run for only six weeks. Sunshine says about this, "Pero ako, personally, ha, in a business perspective, why would you cut something that's earning and good? "As long as meron pa naman talaga, maganda pa ang ratings niyo, kumikita kayo, at kaya pang isustain ang story, go ahead. "Kasi I mean, kami siguro, sanay kami sa mahaba, e. I mean, five years, sanay kami sa mahaba. "Ako, actually, nabo-bore ako doon sa mga sandaling show na, how can you build it? Paano nabibuild yun? "Ako, manunuod ako. But, in eight episodes, mabibitin ako doon! Lalo na sa mga foreign series, nakakabitin yun. "Hindi ka mahu-hook, e. At saka ako, I believe you cannot develop a story in three, six weeks? How can you do that?" Angelika recalls that the mindsets of artists were different when teleseryes lasted for as long as one to two years. "Parang noong time na yun, di namin naiisip yun. Basta tuloy-tuloy lang. Hindi mo siya naiisip. "Kasi trend, e. Yung trend ngayon, fast paced na, e.
"So, ngayon mo naiisip yun, na parang mabagal, kailangan, bilisan natin." Sunshine, Angelu, and Angelika also know when and how to get involved regarding the development of their characters in a TV show. Angelika admits that she always collaborates with her show's writers regarding her character. She says, "Ako, lagi. Mas ngayon, kasi before, siyempre, kapag bata ka, nahihiya ka magsalita, e. Baka maka-offend ako. "E, since, parang you're older, mas iniisip mo na yung character mo, kasi siyempre, this is work." Angelika cites her interpretation of her character in Ika-6 Na Utos. In that series, which ran from December 2016 to March 2018, she played Geneva, the elder sister of Georgia (Ryza Cenon). However, her character came in the middle of the series, around June 2017. Angelika recalls, "Sa Ika-6, ang unang peg ng character ko doon was si Geneva, supposed to be, sosyal, pero Japayuki, nanggaling sa pag Ja-Japayuki. "Alam mo kasi, hindi mo ganun ganun agad mababago yung pagkatao mo, di ba? Hindi ka pinanganak nang mayaman. "Like, nag-iinput ako, sabi ko, 'Hindi naman sa nakikialam ako, siyempre, you have your ideas. "Nagwork naman. In fairness, nagustuhan naman yung trabaho niya. "'Tapos, ginawan ko siya ng medyo funny. Wala yun sa script, e. Kadalasan doon, ad lib ko lang." 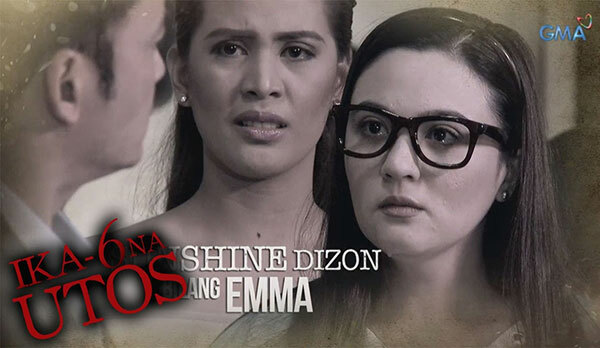 The reason for this, Angelika says, is that she needs to give her character a distinct mark, differentiating her role from other characters, especially those of Georgia and Emma (Sunshine Dizon). She explains, "Ginawa ko siyang funny, kasi pumasok lang ako doon, e. May Emma at Georgia na doon, e.
"Siyempre si Emma, mabait. Si Georgia yung salbahe. Parang, saan ako lulugar? "Hindi ako pwedeng maging mabait, hindi ako pwede maging salbaheng salbahe kasi matatabunan yung character ni Georgia. Kailangan umangat yung character niya kasi siya yung original na kaaway ni Emma. "So, saan ako lulugar? Siyempre, para mag blend ka at mas gumanda yung istorya. "So, hinanapan ko talaga na pwedeng mag-jive yung character ko sa kanila. Nagwork naman." Angelika says she enjoys playing a kontrabida, especially when she can add her own interpretation. 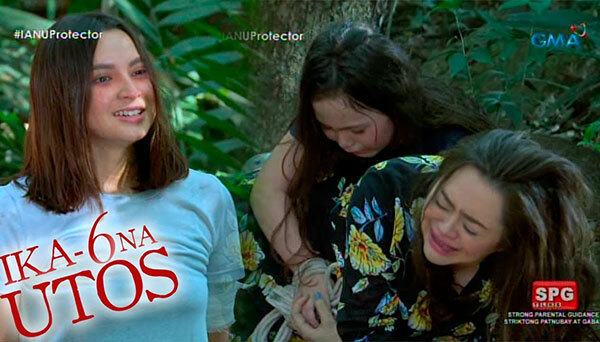 This is what happened to Ika-6 Na Utos, where she created a subplot for her character and Emma's daughter, Sydney (Angelica Ulip). She explains, "Okay ako magkontrabida, pero mas gusto ko yung kontrabida na yung normal pa rin na tao, kasi wala namang taong masama lang, e.
"Lahat ng masamang tao, may kabutihan. Lahat ng masamang tao, may taong mahal. Para sa akin, walang black lang. "Halimbawa, si Geneva, wala sa original story yung kay Sydney, ako lang gumawa noon. "Maganda yun, e, kasi yun yung normal, e. Mas maganda kasi talaga yung realistic, e. Lahat ng tao, may pinaghuhugutan, ganun." 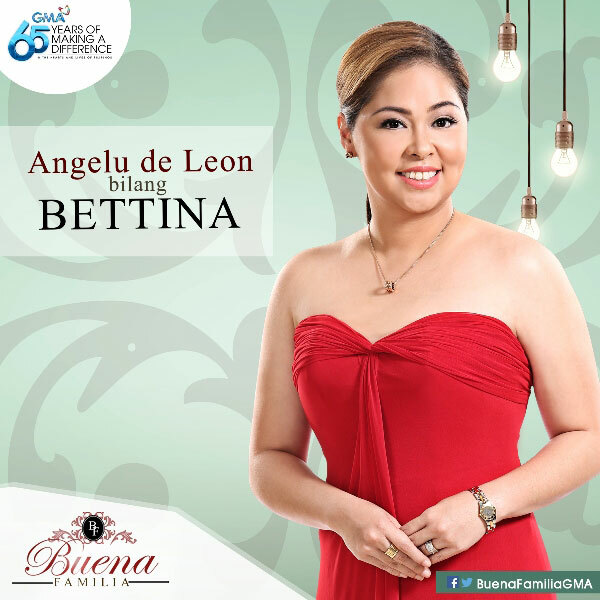 In Inagaw na Bituin, Angelika was given the freedom to give her own interpretation of her Lucy character. "Ang attack ko sa kanya, hindi rin siya sosyal, e, kasi showbiz. "Alam mo yung mga taong gustong gustong sumikat? So, hindi ko siya inatake nang sosyal." Sunshine says that she only becomes involved with her characters when she’s given the freedom to do so. She tells PEP.ph, "Kung pwede. I mean with scripts, sometimes you can suggest. "Kung collaborative yung production, yung director, yung writer, bakit hindi? "May iba, parang noon, na-experience ko noon, kay Tatay G. Kung ano yung nakasulat sa script, yun ang sasabihin mo kasi that is respect to the writers." Tatay G is Gil Tejada Jr., Sunshine’s director in most of her TV shows, including Anna Karenina. Angelu seconds, "Ako din, ganun lumaki. Ganun ako lumaki. Ganon yung training sa amin." Sunshine adds, "At saka, most of the writers kasi from VIVA, napunta din dito sa 7, e. So, parang na-carry over. With Sunshine’s Ika-6 Na Utos character being the most notable role she did on television recently, were there times when she questioned the character’s motives and intentions? Sunshine admits, "Oo! Maraming beses. I'm that type because I'm a thinking actor. "If it doesn't really fall into the parang, continuity or na-off character, I would really say something. "Kasi, hindi naman yung production yung sasabihin ng tao nang, "Ano ba 'yan, mukhang tanga," di ba? It's us! "Kami kasi, frontline, kami yung nakikita." Given this attitude, Sunshine quips, "Sometimes, I would get in trouble. "Kasi may mga iba, may mga prod kasi na parang di nila matanggap na nagbabanggit ka ng mali nila. "Meron din namang parang feeling nila, they're all too good. Iba-iba." Given the ever-changing landscape of television, Sunshine, Angelu, and Angelika have their own visions regarding the future of Pinoy teleseryes. Sunshine points out the need for Filipino TV shows to evolve amidst the existence of over-the-top (OTT) platforms and on-demand streaming services. She says, "To be honest, ako, ang wish ko, sana pagandahin pa natin lalo, because there's always the fear of these digital apps na pwedeng lamunin ang ating networks. "So, sana, we can keep that—yung gusto na may magaganda pang istorya, hindi paulit-ulit, budget-wise, gastusan, kasi kumikita naman ang mga networks diyan. "Pagandahin pa, quality over quantity, kasi parang inevitable nang eventually, the apps, all these digital things will take over, which is happening, unfortunately. Sunshine, as an actor, admits that she has observed the declining TV audience. She adds, "Ngayon, meron nang mga... kasi the world is so fast-paced, paano nga naman sila aabang sa bahay kung kailangan nilang magtrabaho? So, pinakamadali ang telepono. Now, Sunshine has also ventured into creating digital projects via Mystified, which is the first original iFlix movie in the Philippines. 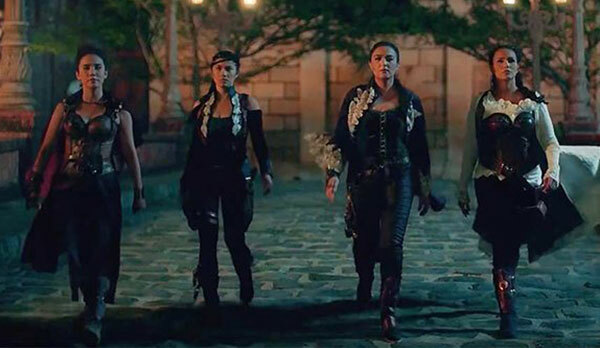 Mystified is produced by Sang’gre Productions, Inc., the own production house that she owns along with Encantadia co-stars Iza Calzado, Karylle, Diana Zubiri, and director Mark Reyes. Sunshine says about this, "Alam mo, ako, I'm a very adjustable person. If networks still need me, then I'm with them. "Kasi, if hindi naman, there's always the digital side, di ba? "Swerte pa kami kasi nakakapag-crossover pa kami. Pero with other actors, kumbaga, isa rin yang test sa kanila, how can you crossover? What can you do naman para yung digital aspect naman of this business, e, relevant ka rin?" 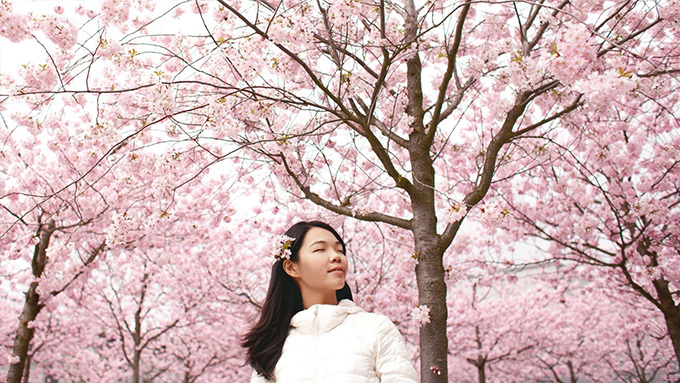 Angelika, who admits to being a fan of Korean dramas, hopes Pinoy teleseryes can level up some more in terms of quality and production values. "Ang wish ko, yung lalo pang maging maganda, parang Korean quality. "Kasi yung sa atin, alam ko, medyo tipid sa budget, medyo madalian gawin. "Sana dumating tayo sa point na mas makapagfocus doon sa quality para mas maging maganda pa yung teleserye natin." In the next part of PEP.ph's special report, Sunshine, Angelu, and Angelika reveal notable experiences in their careers as Pinoy teleserye actresses. To read the first installment, click: ANATOMY OF A PINOY TELESERYE: How do ABS-CBN and GMA-7 produce their teleseryes?